AAC for Children Who are Verbal? Do you ever consider AAC for children who are verbal but highly unintelligible? How do you determine how much of the child’s speech is understood? Do you go by how many words you can decipher in context or out of context? Do you take into consideration familiar vs. unfamiliar listeners? Cindy Simpson recommended this article and related documents (below) as a systematic way of determining intelligibility in a variety of situations for kiddos who may need technology to supplement verbal communication. As you look through these documents, it is important to also consider that, as you know, kiddos will use the system of communication that is the most efficient. So, it will be very uncommon for this to be a viable option. However, if you come across one of these rare cases, it is important to consider these different contexts as well as the academic impact. Today’s post is a short one, but hopefully, it will give you a quick activity to use with a wide range of kiddos. “Cootie catchers” are a great idea for targeting everything from artic words to “WH” questions to following directions. This is a blank template that allows you to type in any target you wish. I can see this being a fun, quick prep activity to target articulation and language. You could make one that has general “WH” questions that can be applied to any fiction or nonfiction story or if you wanted to take the time, you could write questions that apply to a specific story. It might also be fun to use this medium for randomly selecting directions for a kiddo to follow! The options are endless!! 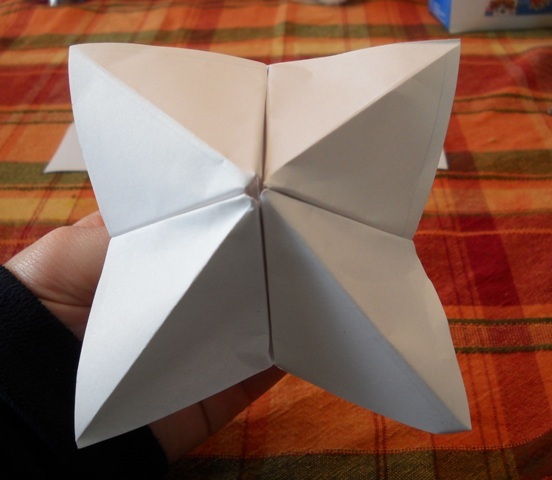 Have you used Cootie Catchers in your speech room? What types of goals have you targeted? Also make sure to see the “general” folder on our pinterest page for more fun “cootie catcher” ideas!